All of our Hormone Therapy physicians are experts in andropause treatment and are ready to assist treating your symptoms of male menopause with male hormone replacement therapy. IMT specializes in interventional endocrinology which is the restoration of hormones to healthy levels and their subsequent optimization through multifaceted approaches. Our doctors listen to how you are feeling and the symptoms you describe, and pair what you say with lab tests. That way our male Low-T physicians can form a basis for creating an individualized hormone treatment program that will rebalance your hormones! The fact that you found our website proves you understand the importance of making good informed decisions in managing your healthcare. Doing your homework significantly increases the chances of safety, and optimal results. The internet is a good place to lean the important questions to ask. When you are ready, call and speak to one of our program representative. 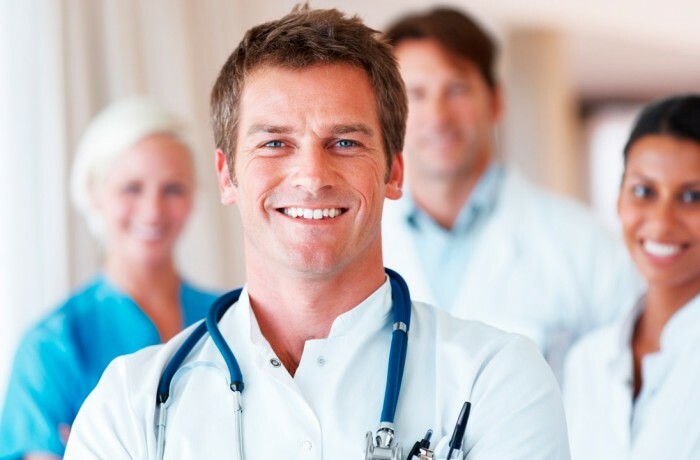 We will take the time to go through all aspects of your testosterone replacement therapy. While these doctors may be excellent within a certain specialty or you may have an existing relationship with them, chances are a significant portion of their day is not dedicated to diagnosing andropause and providing treatment for low testosterone levels and other male hormone deficiencies. Our professionals will work with your Family doctor and your past medical history to make sure we are on the right track to getting you back on track! Endocrinologists should be the experts, however, their practices are 90+ percent women and diabetics. Their practice consists of very few men which makes them less than ideal specialists for male hormone replacement. Urologists are high production doctors who will seldom take the time to provide optimal service and results. Family doctors encounter andropause and male hormone treatment as one small part of their practice. Approximately 25% + of our new clients contact IncreaseMyT after starting treatment with their family doctor. There are several problems that seem to manifest with family doctors treating andropause symptoms. They typically under treat symptoms. They don't test for estrogen conversion. They don't protect glands, including pituitary and testicles, from shrinking. They focus too heavily on erectile dysfunction medications. ED medications may provide an erection, but won’t provide you with the sexual desire needed to use it. Family doctors, though familiar with your medical history and have the best of intentions, are not necessarily well versed in diagnosing andropause symptoms and prescribing, safe, individualized male hormone replacement treatment. We are experts in treating andropause symptoms with male hormone replacement therapy. Our national group of andropause specialists have treated thousands of men with individualized hormone treatment programs. Each man’s hormone levels are different and can vary greatly. Our doctors will test your current hormone levels, and match this to any past references. In the event any hormone deficiencies are found, we will provide individualized Testosterone treatments.